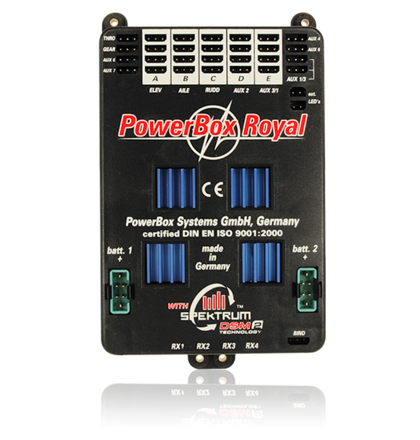 Vi har hela Power Box Systems sortiment. 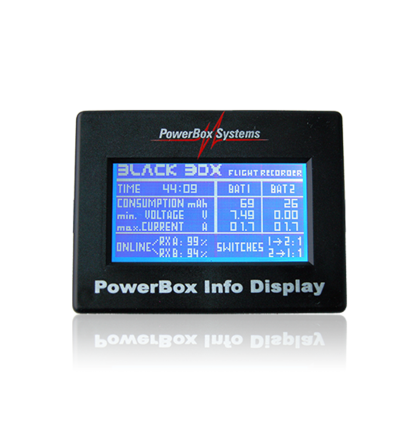 För ytterligare information klicka på logotypen så kommer ni till Power Box egen webbsidan. 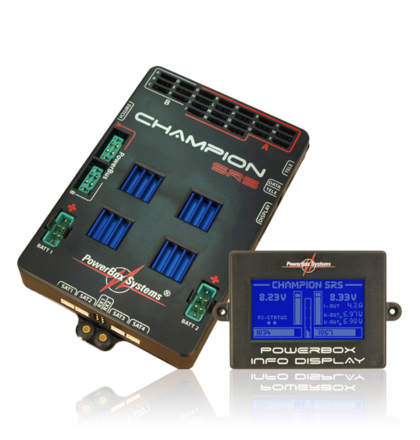 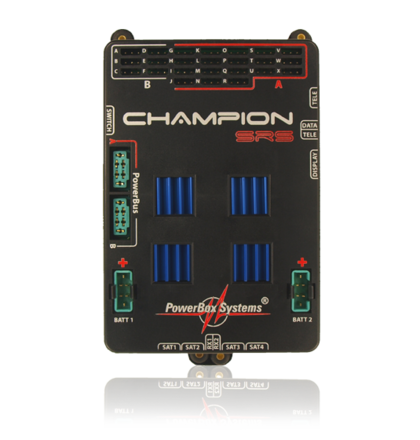 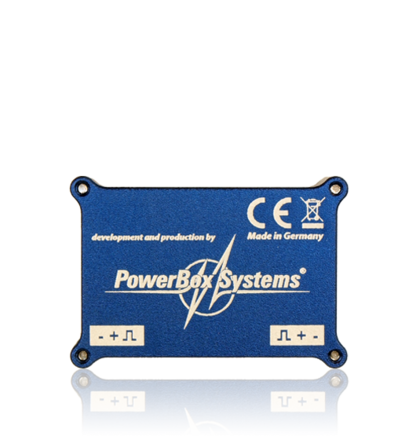 We have the complete range of Power Box Systems. 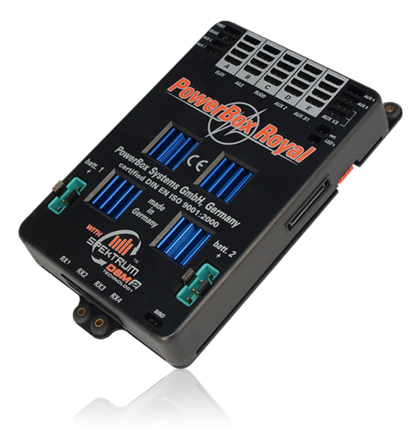 For foward information, please click on the logo and you´ll be able to check the Power Box web site. 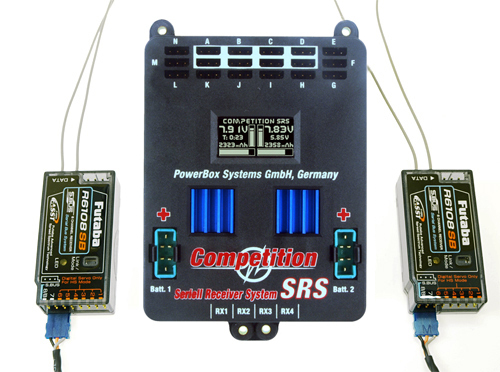 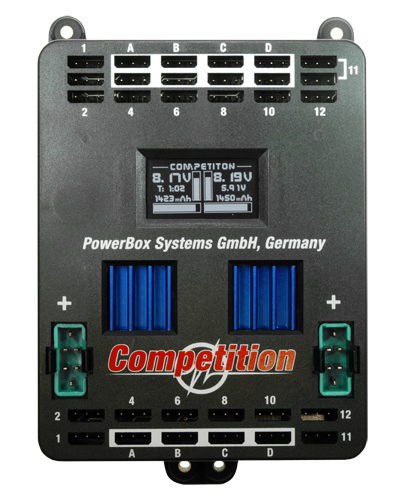 4420 Power Box Competition SRS include Sensor Switch and 2 patch cable for the receiver. 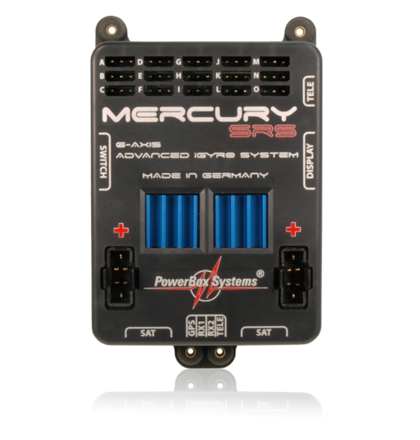 The iGyro 3e is the little brother of the iGyro SRS, and offers an excellent performance. 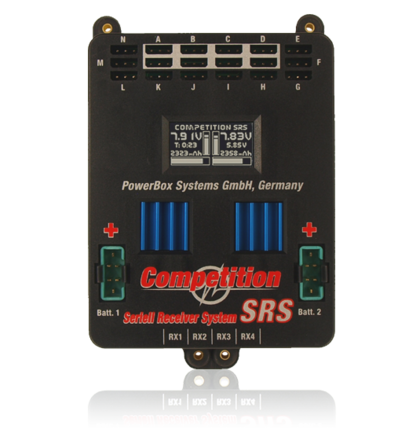 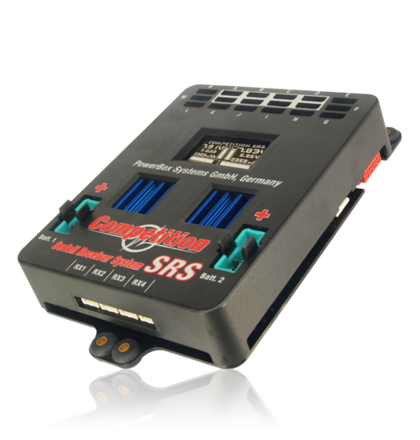 The control characteristics are identical to those of the iGyro SRS, and naturally the unit’s quality also reflects the very highest PowerBox standard! 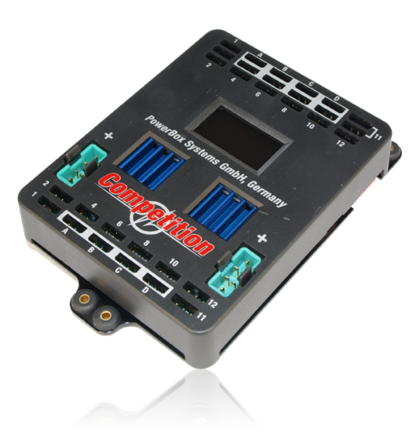 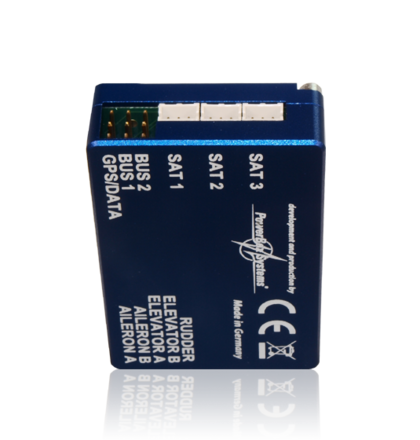 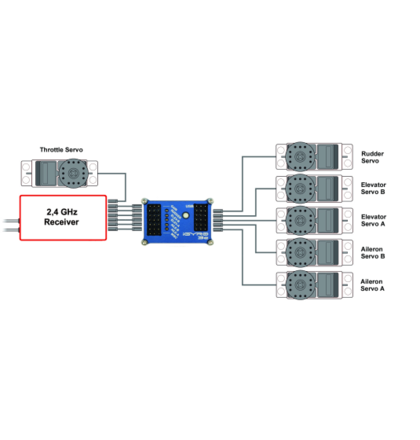 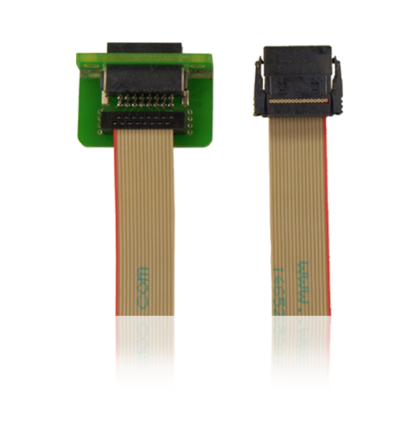 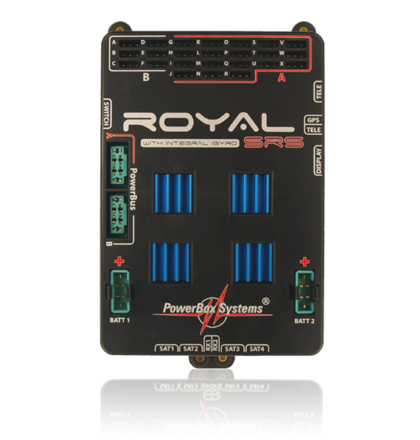 The iGyro 3e operates with normal PWM signals at the input and output, making it a straightforward task to install and set up the gyro in existing models. 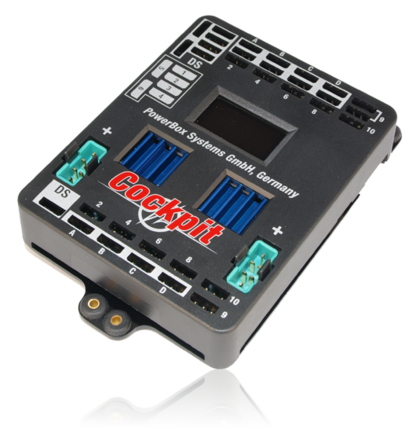 The iGyro 3e is simply looped in between the receiver and servos, and its gain can be adjusted in flight if one auxiliary channel is assigned to it. 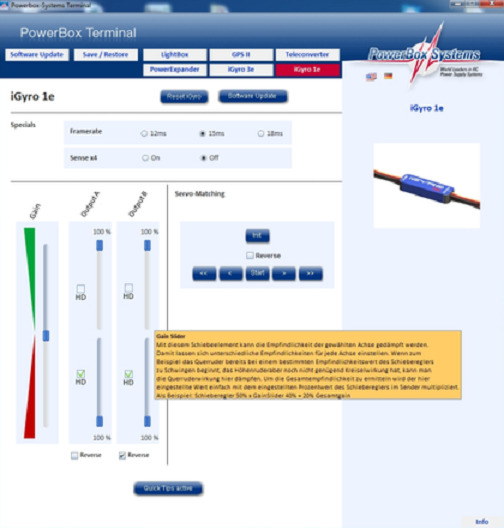 The net result is that it takes just a few minutes to install and set up the iGyro 3e. 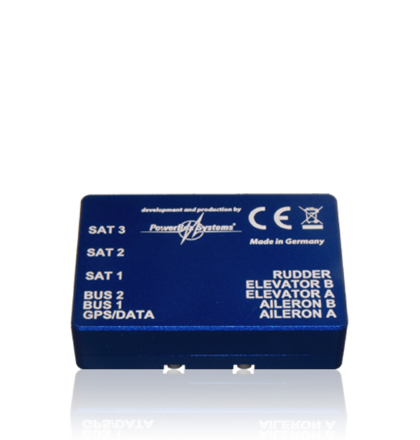 The gain adjuster is divided into two ranges, enabling the pilot to pre-define different flight modes with the transmitter. 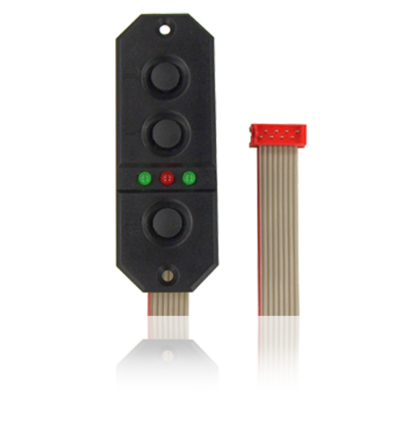 As standard the iGyro 3e can be operated in Heading or Damping mode. 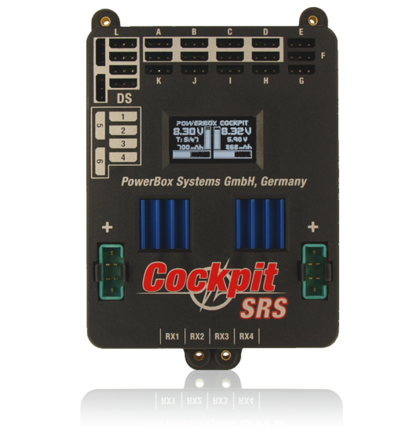 Heading mode has been specially developed for fixed-wing model aircraft, and provides natural handling in the air. 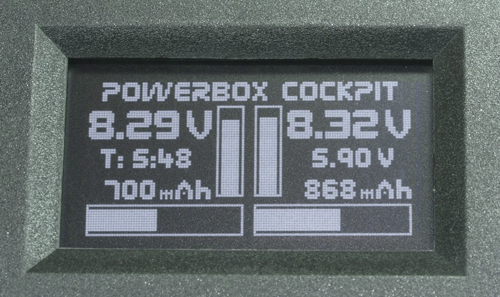 As you would expect, Heading mode can be left active for take-off and landing! 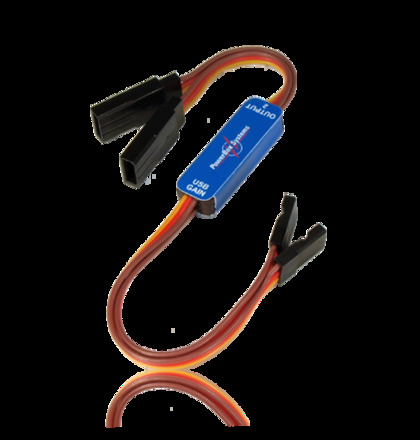 It is supremely easy to adjust the ranges of the gain adjuster using a laptop or PC, as the Heading option and the strength of the gyro effect are fully variable, separately for each output. 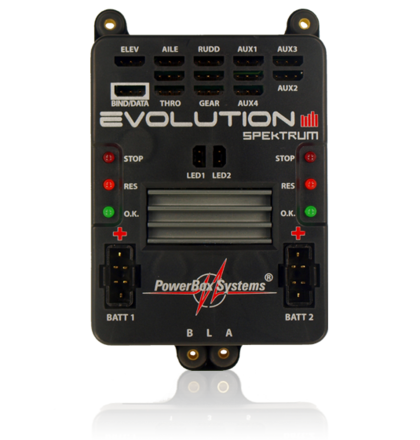 Naturally the unit also features an integral delta and V-tail mixer, and any orientation in the model is possible. 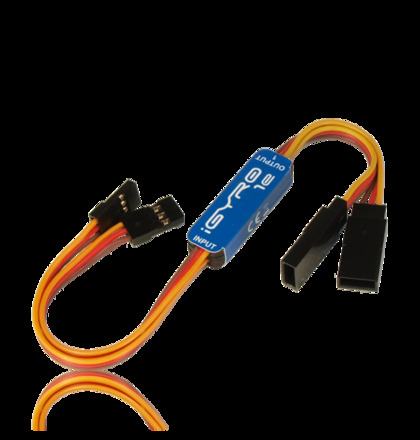 As with the iGyro 3e, the impressive feature of the iGyro 1e is just how easy it is to use. 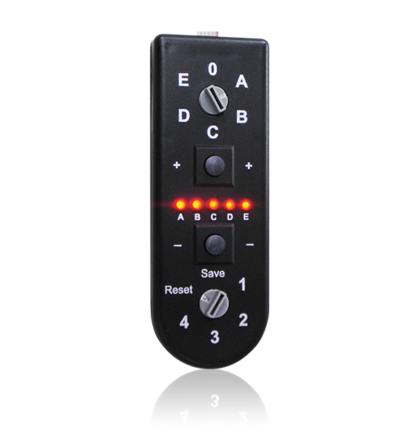 The device can be used immediately after it is unpacked: plug in, fix in place, fly. 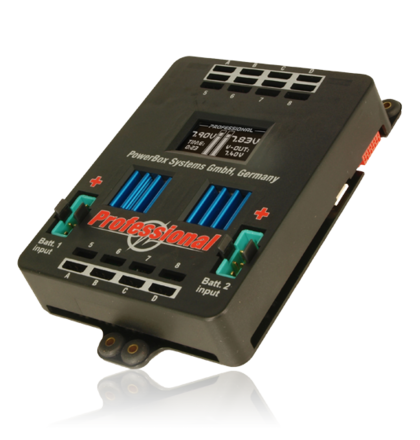 In every respect its performance is as good as the renowned larger iGyro systems, and the little version imparts exactly the same iGyro feeling. 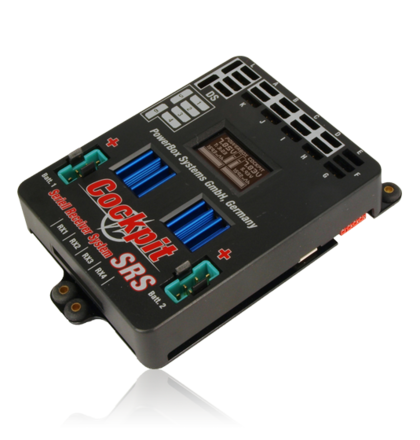 The additional integral features are a world’s first in this class: Two outputs can be set up independently of each other, both in terms of gyro effect and control function. 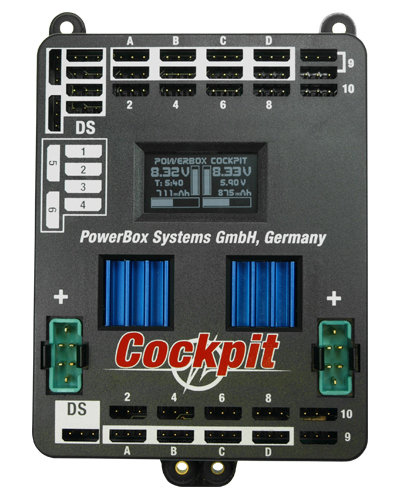 This means: it is possible to adjust output 2 separately for the gyro’s direction of effect, and the servo’s direction of rotation, end-points and centre. 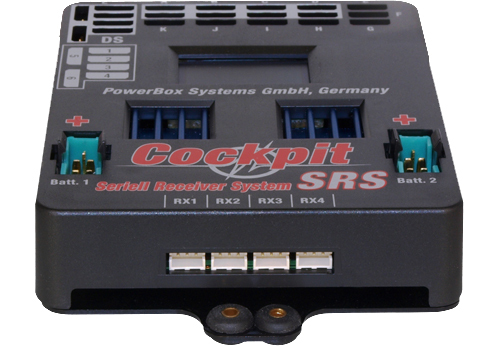 This integral servo-match function can be exploited, for example, to use a single channel to control the rudder and steerable nosewheel, but set different gyro functions for both. 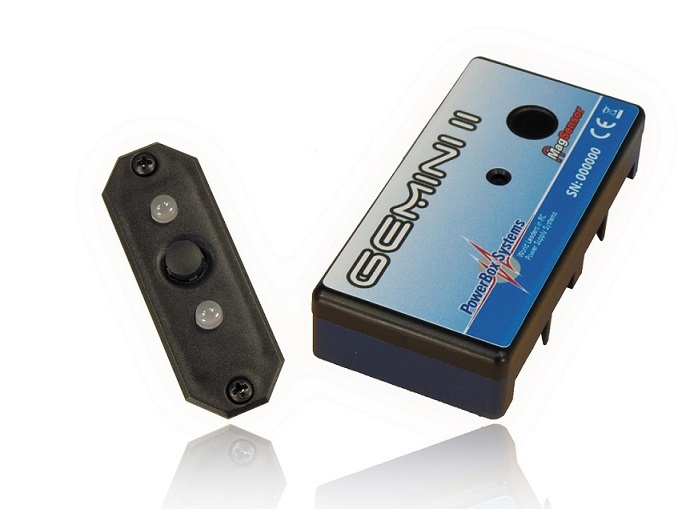 Typically the nosewheel might be set up with a Heading function, but the rudder with Normal gyro function only. 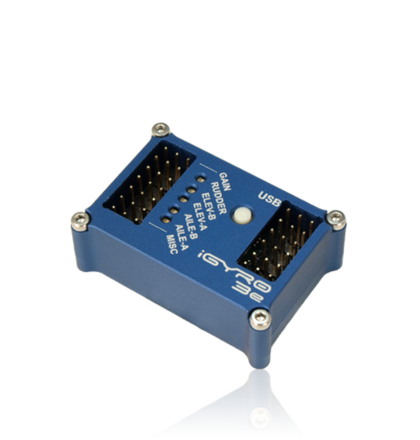 It is also possible to assign the gyro function to two ailerons without having to forfeit differential travel. 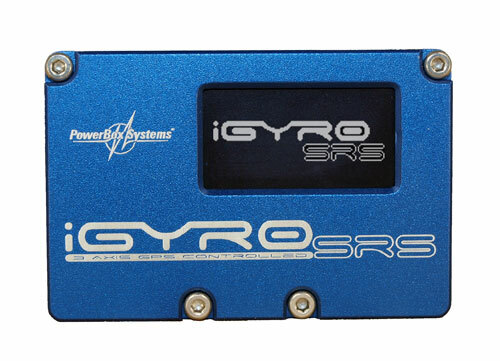 Another useful feature is the facility to store gyro gain automatically: if you are short of channels, you can set up the iGyro 1e once using a receiver output, then disconnect the gain input at the receiver; the set gain value is now automatically stored. 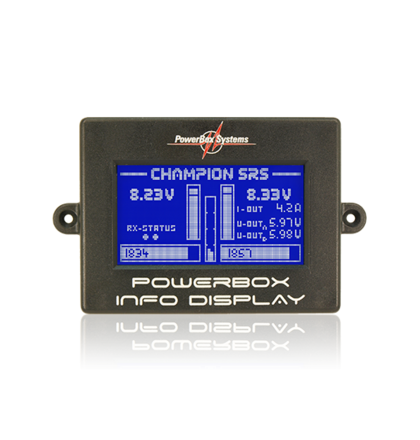 The receiver output previously used is now available again for other functions. 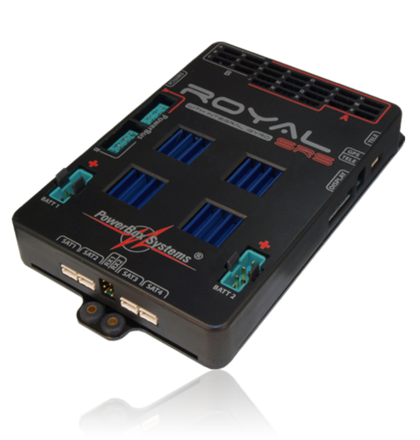 The package is rounded off by two additional functions: frame-rate adjustment and Gyro-Sense x 4, which is designed for large, sluggish models. 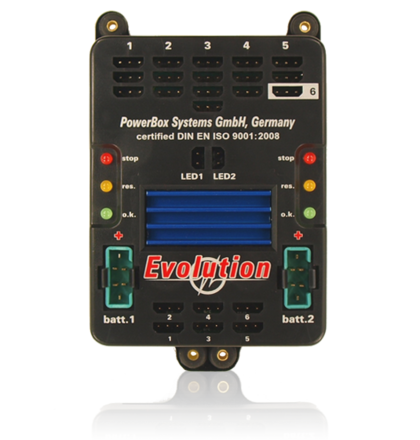 All the components employed in the iGyro 1e satisfy the same high quality standards as the large iGyro systems, and the device is 100% “Made in Germany”. 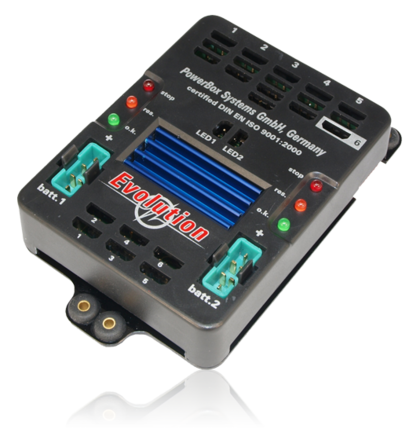 Although the iGyro 1e is an obvious choice for small models, its quality means that it also guarantees the highest standards of precision and security in valuable High-End models. 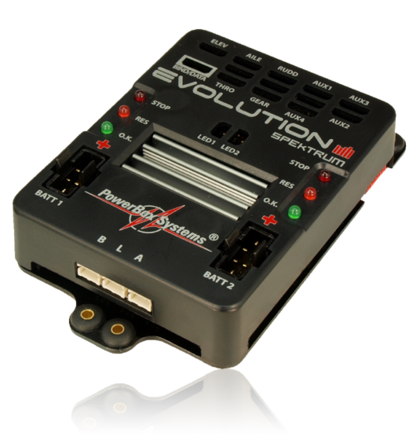 The iGyro 1e can be installed in any model where there is only a need to stabilise one axis, whether the model is a glider, a jet or a power model. 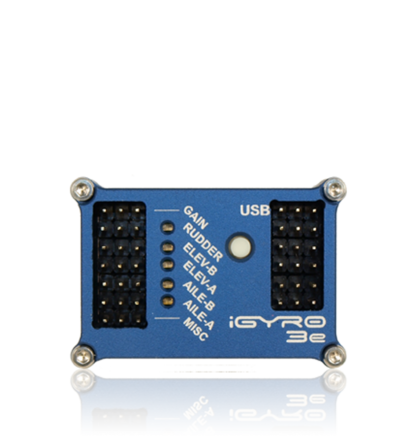 The iGyro 1e’s micro size even allows it to be squeezed into any F3B and F5J glider, and even in an RC model car, which will then maintain its exact heading with great reliability! 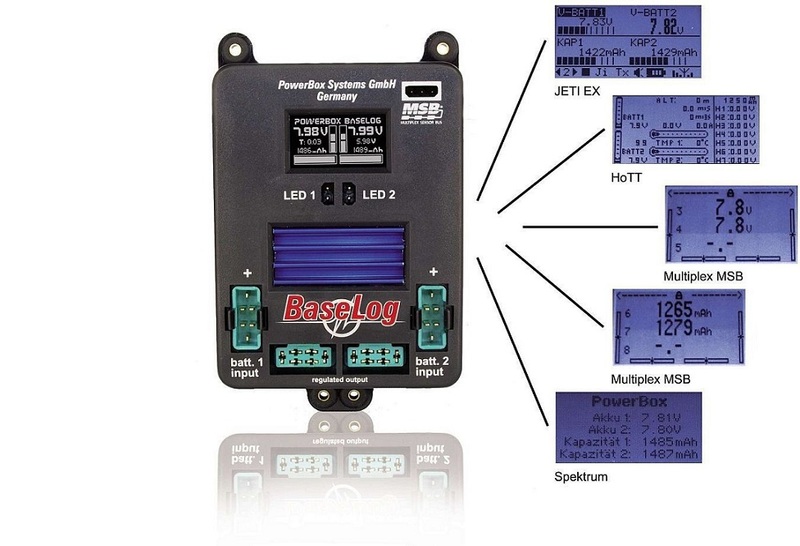 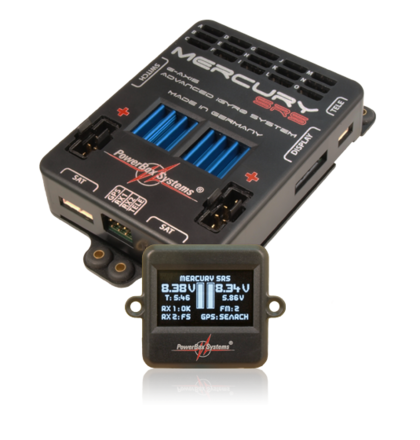 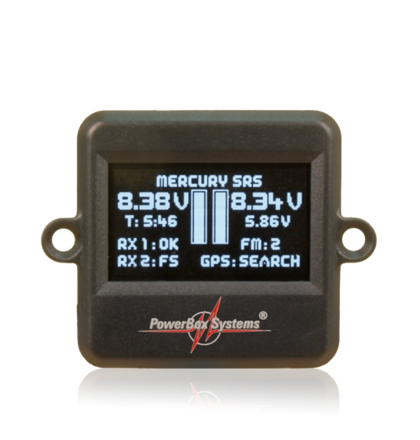 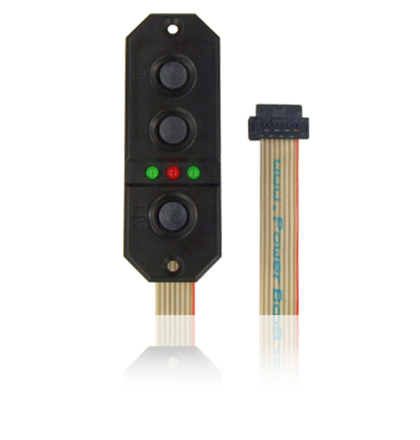 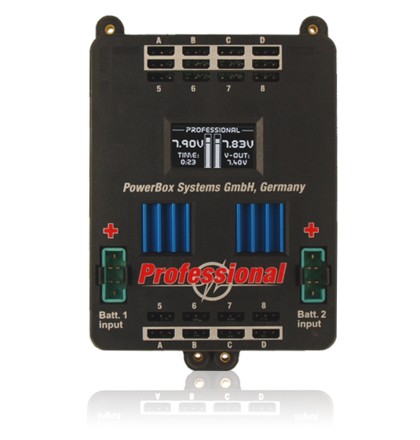 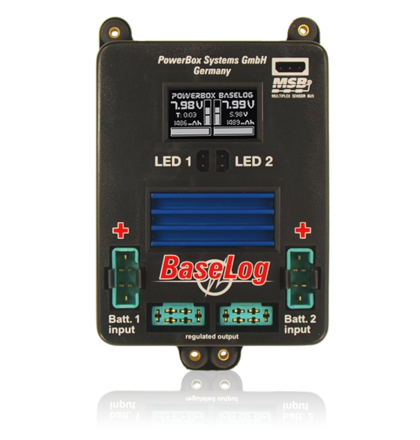 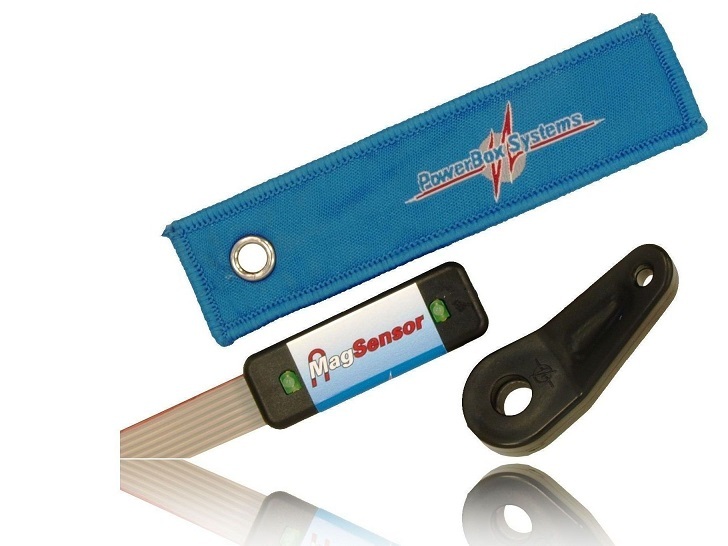 4110 PowerBox Mercury SRS include Sensor Switch Oled-display and GPS.